Born in the rather small community of Welchenhausen in the Eiffel area (Germany), Theo Wiesen (1906-1999) at a young age lost his parents. With the remaining members of the family he moved to Grüfflingen, a community in the German speaking part of Belgium. As an adult he first had there a job as a carpenter and then, from 1939 on, he exploited a saw-mill. 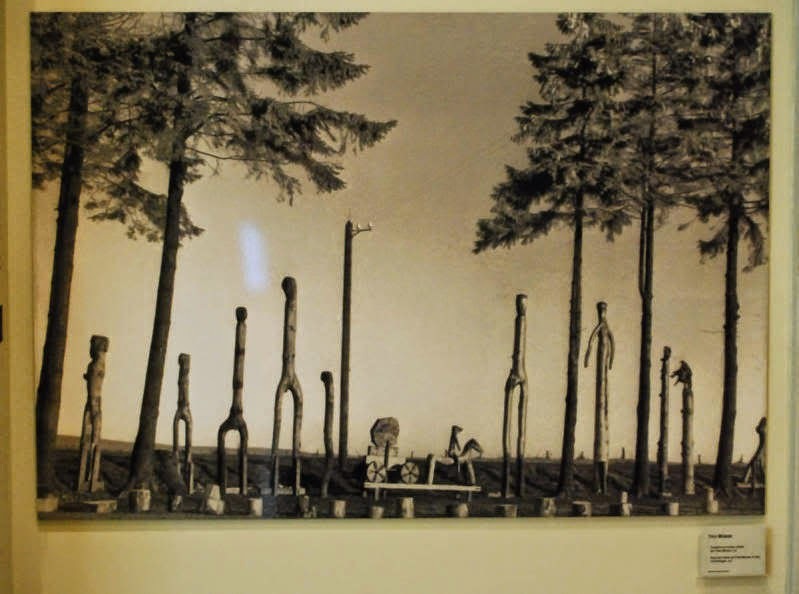 Once retired, in the 1960's, Wiesen began making paintings and carving wood. 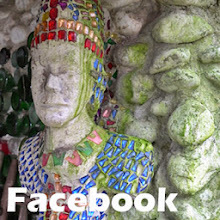 He has become known for his totem-like depictions of persons and animals, creations he around 1972 began to display on the premises of the house were he lived. 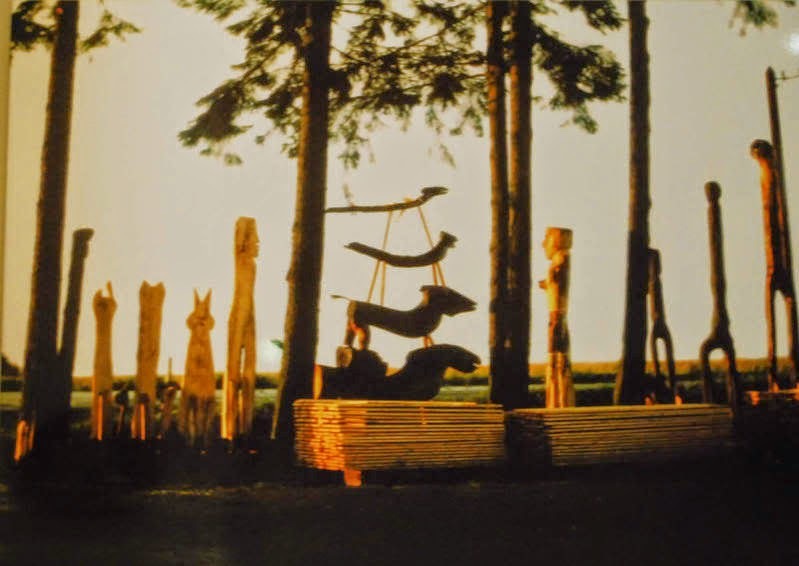 Some of these creations were displayed amidst surrounding trees, as in the pictures below, other wooden structures were joined together, forming a fence of about 12 meters. In its turn, the Aracine collection has been donated to the LaM, the Lille Art Museum, located in Villeneuve d'Ascq, France. 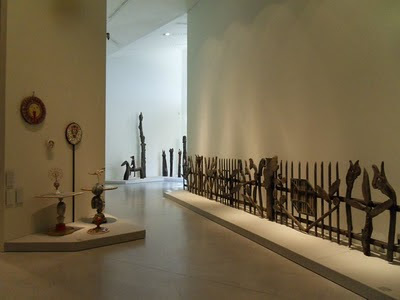 A selection of Theo Wiesen's creations has been included in the museum's permanent exposition, housed in a new annex to the museum, opened late 2010 (The museum's collection includes some seventy works by Wiesen). The authorities of Welchenhausen paid tribute to Wiesen by renaming the central square of the community as Theodor-Wiesen-Platz.